A few cups of espresso will turn anyone into a speed demon, but this conceptual espresso maker created by Ilgar Rustamov lets you proclaim your need for speed before you even take your first sip. 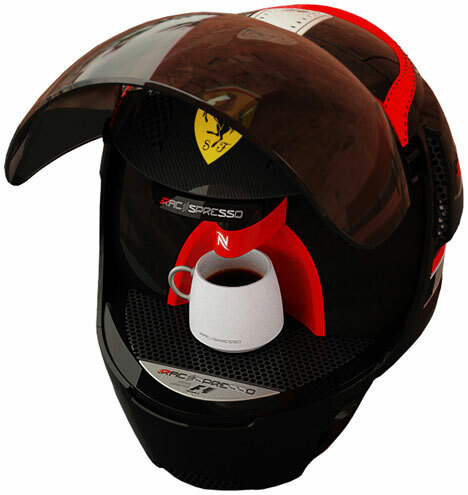 The aptly-named Racepresso is modeled after Formula 1 racer Michael Schumacher’s Ferrari helmet, with the approval of the racer. 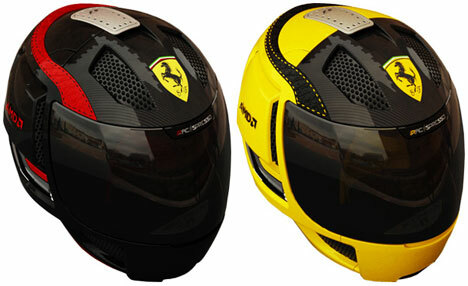 When the cover is down, the Racepresso looks like nothing more than a kitschy racing helmet. But when the cover comes up, the cool Nespresso coffee machine is exposed. The Racepresso isn’t in production yet, but the designer is looking for opportunities to make his project a reality. The unique espresso machine would no doubt be a hit with Ferrari fans, many of whom seem keen to decorate entire houses with nothing but Ferrari-branded kitsch. 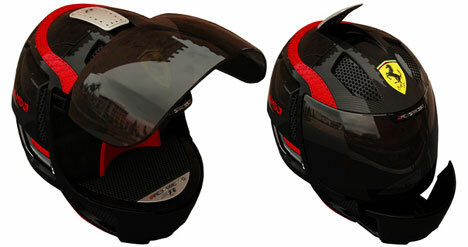 See more in Home & Personal or under Gadgets. August, 2010.